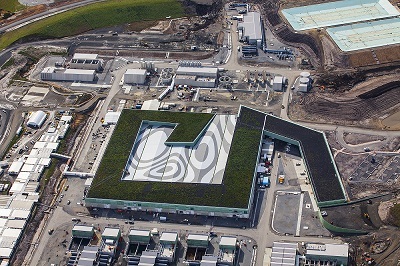 The Victorian Desalination Plant is a partner project between the Victorian Government and AquaSure to enable the provision of a secure and stable supply of drinking water complementing the existing Victorian water catchments. The plant uses a desalination process that allows the filtration and removal of salts and minerals present in seawater by passing the water through reverse osmosis membranes. The plant, managed by the Department of Environment and Primary Industries, is capable of supplying up to 150 billion litres of healthy drinking water to Victorian household regardless of rainfall levels. With the Victorian Desalination Plan project there was a factor of the intermittent sea water exposure that needed to be taken into account for the correct recommendation, installation and optimum functionality of the medium voltage cabling that was required for the plant. Although the original specifications from our client were for a PVC sheathed cable, Prysmian understood the project’s distinct environmental factors and were able to appropriately advise on a cable design which saw the original specifications on the outer sheath changed from PVC to HDPE. This alteration was to ensure a more suitable design life for the cabling solution in the plant. As per the recommendations from Prysmian, an effective cable solution was installed into the Victorian Desalination Plant consisting of 54 789 metres of 22KV single core medium voltage cables (CCU X/HD/WST/HDPE BK) and 1 034 538 metres of 0.6/1KV single and multicore conductors and instrumentation low voltage cables. In total the project lasted a 19 month period and included of a total of 18 variations prior to the completed L.V. cable package requiring a continual process of liaising with the project management team at Theiss Degrémont. Through this working relationship, it was ensured that the cables were manufactured and delivered as the project scheduled. As a result, our team at Prysmian had an excellent strike rate (>95%) in managing the multiple project variations to ensure cable was delivered in the required project time frame. Comparatively, the requirements for the Victorian Desalination Plant project were relatively familiar for Prysmian Group’s expertise and capabilities and ran smoothly according to previous projects.